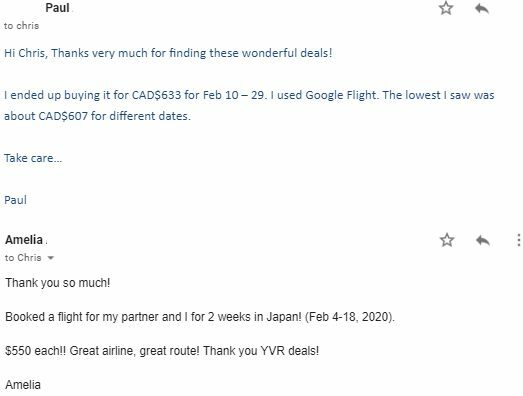 vancouver, yvr, flight deals, asia, east asia, victoria, yyj, japan, osaka, japan airlines and itm. 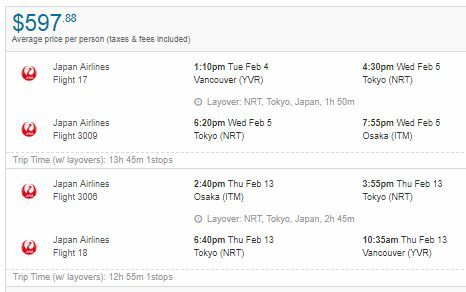 14 Responses to "Vancouver to Osaka / Kyoto, Japan - $558 to $597 CAD roundtrip including taxes"
$550 each person with Japan airlines! 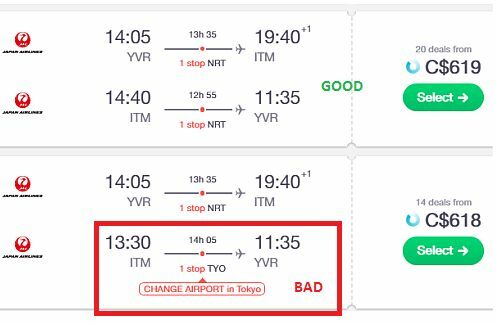 Do these kinds of fares usually work in reverse if the point of origin is say...Osaka? I can try but as a rule? Thank you! Just booked flights for a total of $600pp. Thank you! 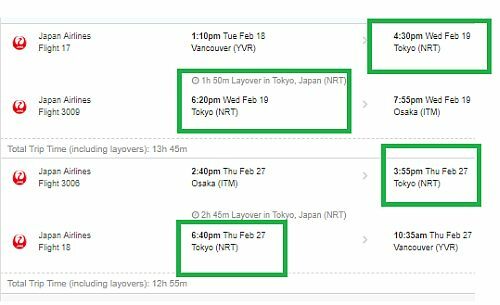 We booked girls' trip to Osaka - Jan 2020. Can't wait!!! 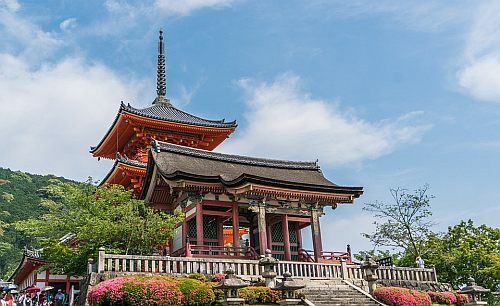 Booked tickets to Osaka for end of October! Looking forward to the trip. Thanks so much for posting this! Have a great time in Japan everyone! @E, yea i think it is over already. can i just fly to tokyo and abandon the flight to osaka? and same to on my way back can i fly from tokyo directly? Joyce, you can certainly depart the airport in Tokyo, instead of continuing on to Osaka, if you want. But the airline will automatically cancel your flight home. All airlines automatically cancel the rest of your flights on a ticket, once you intentionally miss a leg. Booked for oct 22-0ct 30 for $610. Word of advice though be careful which third party operator you book with. I used skyscanner then booked through a third party called Travelgenio the price was quoted at $580 then when my card was charged it ended up being more expensive and there was nothing I could do about it as the transaction was complete. It's still a really cheap fair so it's not a huge deal but I read a lot of negative comments about that company after that fact and how they charge prices higher than quoted and are difficult to deal with. i was lucky as the charge wasn't that much higher but it could have been a lot worse. So my advice stick with the third party companies you recognize even if its a few dollars more just for the peace of mind. Other than that great deal keep it up as I'll be booking more deals in the future.